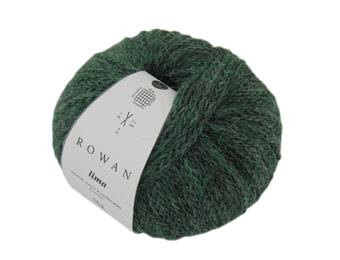 This is without a doubt my absolute favourite yarn we have ever stocked. It's 84% Baby Alpaca, which gives it such a super soft texture but really it's the ingenious construction of the yarn that I love. Each strand of Lima looks like it has already been knitted giving the finished product an amazing look, but also making the yarn that much stronger to work with. For my first project using Lima I wanted something small just to dip my toe in the water, so to speak, so I picked the fingerless "Belle Cable Mitts" from Rowan Winter Warmers. It's a beautiful pattern that takes less than 1 ball of Lima to knit up! This year, Rowan also brought out the big brother of Lima - Rowan Alpaca Chunky. Same beautiful material and construction, but a lot bigger and in a lovely range of natural tones. Looking forward to getting stuck into that soon as well! 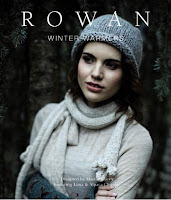 I love this book its the first one that Ive actually knitted a few items from, including 3 of the crystal boleros - I still have one pending as a present for my DIL, have knitted a short version of the lace wrist warmers, and a few pairs of the house socks. It is a lovely book and the yarn is beautiful too. I'm sure your DIL will be delighted with her gift! It's a great book and gorgeous yarn - you can substitute for Creative Focus it has roughly the same tension, although you might need to alter the needle size so a tension swatch is a must! Thummle Doddies! I've never heard that one before. The Creative Focus is another gorgeous yarn. There's such a lovely range of shades - the only problem is, I want to knit with them all!